At Toddler Town, we believe this lovely poem by Anita Wadley helps express the beliefs and philosophy of our child care goals. We hope you enjoy it too! At our Chicago and Evanston daycare centers, we truly believe that your child always comes first. We get to know each and every child who enrolls at our daycare centers so that we can help them grow, develop, and learn with an individualized approach. Our goal is to ensure that every child has the tools they need to find success as they enter kindergarten and we do that by taking an educational approach to everything we do. 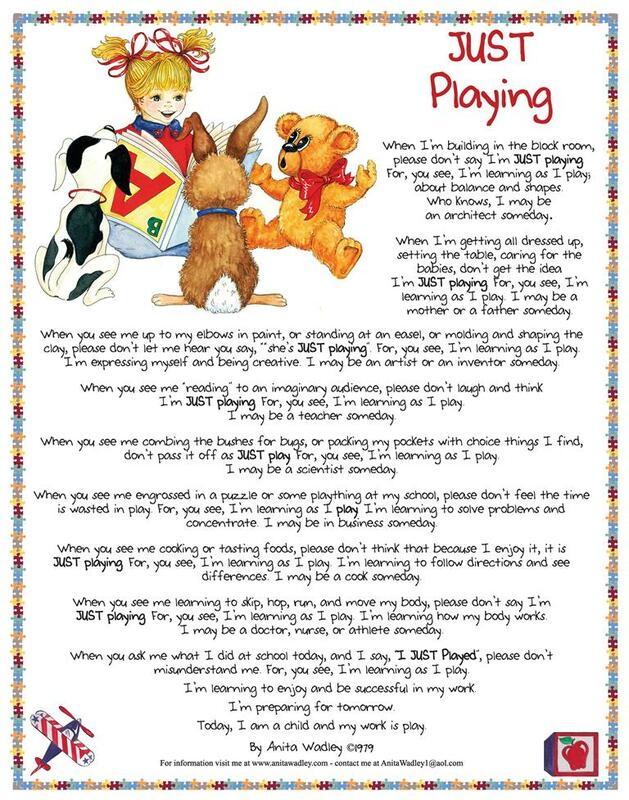 While it may look like your kiddos are “just playing,” we ensure you that they are learning vital lessons too! Contact us or call one of our amazing Toddler Town Daycare centers.